Home » Blog » Orange Stool – What Affects Poop Color? Most people care about their health and stay on the lookout for abnormal symptoms that could mean something is wrong. One such symptom is an unusual change in the function of your digestive system; specifically, a change in your stool color. It can be quite alarming to find that your poop has suddenly turned a different color than usual. There are a wide variety of abnormal stool colors, but one of the most common is orange. Orange poop has a rather wide variety of potential causes. Guard your health by determining the cause of your orange colored poop so that you can treat it accordingly. The most innocuous and possibly the most common reason why someone may notice an orange color to their stool is because they have eaten enough of a certain food to have this effect. Any food that contains artificially-added orange dye, or even yellow or red dye, can produce this symptom. » and popsicles are the most likely foods to contain large amounts of orange coloring. Artificial dyes aren’t the only type of pigment we consume. Foods that are naturally orange in color can turn your stool orange. These plant-based foods get their orange color from beta-carotene, a natural pigment. However, there are other foods that contain beta-carotene and yet don’t display an outwardly orange color. This is usually because there are other colors of pigments present in the food covering up the orange effect of the beta-carotene. Such non-orange beta-carotene containing foods include cilantro, collard greens, thyme, kale, spinach, and turnip greens. Beyond everyday foods, certain medications can also turn the stool orange. Any medicine that contains the compound aluminum hydroxide can have this effect. Aluminum hydroxide is most commonly found in antacids, though not all antacids contain it. It’s not the scan itself that causes this, but rather the special medications you take for it. Orange poop caused by medications for a diagnostic test is a harmless side effect that should disappear in a couple days. The last among these basically harmless causes of orange mucus in stool is simple diarrhea. Of course, diarrhea can be caused by various diseases, and if it’s chronic it can lead to dehydration and malnutrition. However, orange colored stool in such a situation is harmless in the sense that it doesn’t mean anything special; it’s just a side-effect of diarrhea. It’s common for orange color and diarrhea to coincide because the orange color can be caused by the stool not absorbing enough bile while it’s in the small intestine. Since diarrhea causes stool to move through the body much more quickly than normal, the stool won’t have time to absorb bile. Hence, it comes out with an orange tinge. There are some rarer and more serious medical problems that can cause orange poop color. If you’re experiencing this symptom, rule out the harmless causes listed above and talk to your doctor before jumping to any conclusions. In a similar vein to the diarrhea cause mentioned earlier, there are other medical conditions that can cause an orange color in your stool due to the stool moving too quickly through your body. These conditions can include things like irritable bowel syndrome and short bowel syndrome. Both of these conditions require medical intervention in order to manage them, and thus they are not harmless causes of orange stool and should not be ignored. Irritable bowel syndrome can be caused by things like infection, gut flora imbalance, and stress, though it often has no discernible cause. Depending on the specific type of irritable bowel syndrome one has, it can cause chronic diarrhea, turning the stool orange. Short bowel syndrome, on the other hand, is caused by not having enough functional length of small intestine. If there is no small intestine, or if the small intestine doesn’t function properly, then the stool will not absorb enough bile to turn it its usual brown color. This is a rare disease. Most incidences of short bowel syndrome are caused by the surgical removal of a portion of the small intestine, which can be necessary in the face of certain medical issues such as Crohn’s disease and necrotizing enterocolitis. Necrotizing enterocolitis is a condition, usually seen in prematurely-born babies, that causes tissue death in the bowels. Orange poop can also be caused by a blockage in the bile ducts, which are the tubes that transport the bile liquid from the liver into the small intestine. If the bile can’t get to the small intestine, the stool will not absorb it and thus will remain orange. Even if the bile ducts are completely free and unblocked, the stool will come out orange if there is not enough bile produced in the first place. Therefore, if there is a medical issue going on with either of these organs, bile production can be hampered and an orange poop color can result. There are many types of liver diseases and gallbladder diseases, some of which are very serious. Taking a medication incorrectly can lead to problems with bile production and therefore orange stool. Specifically, taking too high of a dose of a drug or taking it more frequently than recommended can lead to hepatotoxicity, which is a form of liver damage caused by chemicals. Over 900 drugs can lead to hepatotoxicity. 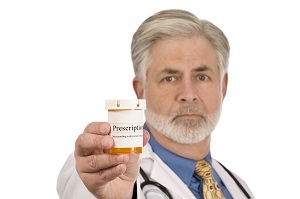 Also, this includes very common over-the-counter drugs like acetaminophen. In fact, acetaminophen toxicity is actually one of the worst forms of this type of liver damage. Although some cases of medication-related hepatotoxicity will resolve on their own, others can result in death. For this reason, it’s incredibly important to follow a medication’s packaging instructions to the letter. It’s simple enough to determine for yourself whether you are experiencing bright orange poop due to a harmless cause. If you’ve been consuming a lot of artificial orange food dye or a lot of beta-carotene containing foods, then chances are you don’t need to see a doctor. The same goes for if you’ve recently taken a medication containing aluminum hydroxide or a diagnostic test medication. But, if you stop eating the responsible foods and you stop taking any such medications and the orange stool doesn’t go away, then it could point toward a more serious cause and you should consult a medical professional. Additionally, if you experience other concerning symptoms in addition to orange colored poop, it’s a good idea to talk to your doctor. This is a general list of concerning related symptoms, and one individual condition will feature only some of these items as a symptom. The more of these accompanying symptoms are present, the more severe they are, and the longer they persist, the more urgent it is that you should see a doctor about it. It’s important to be screened for the various serious diseases that could be causing these symptoms. In the event that such a disease is present, it’s urgent that you receive treatment or else face increased medical complications and risk of death. 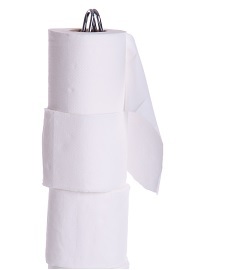 Of course, treatment for the symptom of orange colored poop depends greatly on its underlying cause. If your orange stool is caused by diet, the treatment is to simply change your diet. However, orange poop caused by orange foods is harmless and there’s no real reason that you would need to stop eating foods that you like. If your problem is caused by an antacid containing aluminum hydroxide, your option is to switch to a different antacid that doesn’t include this ingredient. The less-harmless causes of this health issue will require more complicated treatments. Short bowel syndrome is managed with medications to reduce stomach acid, medications to reduce diarrhea, nutrient supplements, and lactase supplements. Neither of these digestive disorders has a cure, and can only be managed. Disorders of the liver, gallbladder, and bile ducts vary greatly in how they’re treated. For example, according to Douglas M. Heuman, MD at MedScape, gallstones can be treated with oral medications or extracorporeal shockwave therapy to dissolve them;(9) however, gallstones sometimes require surgical removal of the gallbladder in order to resolve the problem for good. Cancers in these organs of the body can be treated with chemotherapy, radiation therapy, and the surgical removal of the tumor, if possible. As for liver disease, there are a huge number of specific types and each one will use a unique combination of drugs for treatment. Finally, drug toxicity is first and foremost treated by halting intake of the responsible drug. 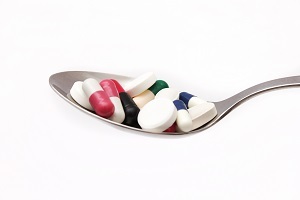 Severe cases of drug toxicity may require liver transplantation. Most of the time, the bright orange stool is nothing to worry about. » Determine whether a food or medication is causing this symptom. » Wait a few days to see if the symptom resolves on its own. 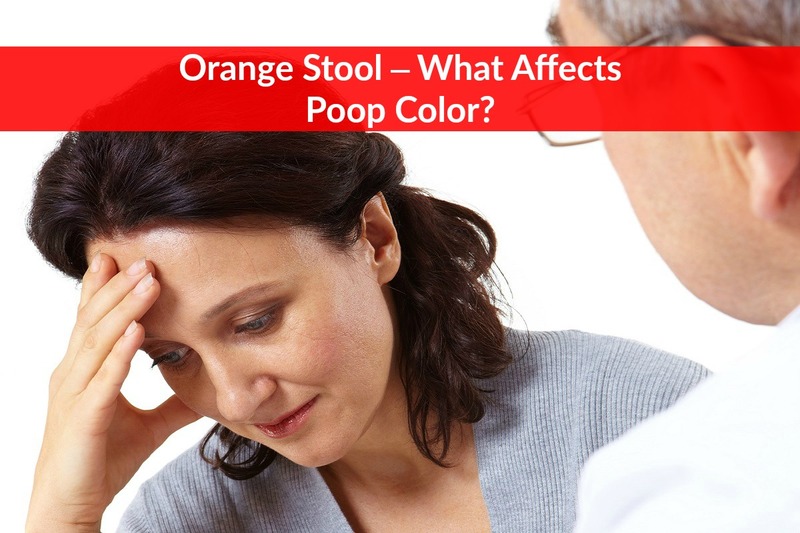 » If the orange stool color doesn’t go away, or if you experience additional symptoms described in the list above, make an appointment with your doctor. » Have your doctor rule out any potentially serious medical conditions that could be causing your orange oily stool.